"We are not able to sell Chevrolet cars after the announcement. Customers are asking for a 50 per cent discount. Some are even asking for Buy One Get One." General Motors, commonly known in India as the auto company that sold the Chevrolet brand of cars in the country decided last week that it will shut shop and say goodbye to the world's fifth-largest car market. At a time when India is said to overtake Japan and Germany to become the world's third-biggest car market by 2021 (according to a research by IHS Markit), the news of General Motors packing up has come as a surprise to everyone in the auto industry. However, for General Motors, there's hardly anything new in this decision, the automaker has pulled out of Europe, Russia and South Africa in the recent years. According to Bloomberg, General Motors's Chief Executive Officer Mary Barra has closed or sold 13 plants and backed out from various countries ever since she took over as the CEO of top US carmaker. For India, it's not just the loss of $1 billion that the US carmaker had planned to invest in India, GM's abrupt decision to withdraw from the Indian market has hit the car-owners as well as the dealers. Though the company has reassured the customers that they will be provided services and repair parts as promised, but the re-sale value of Chevrolet cars have come down drastically. "We are not able to sell Chevrolet cars after the announcement. Customers are asking for a 50 per cent discount. Some are even asking for Buy One Get One," says Ravinder Bansal, Sales Manager at Delhi-based Metro Chevrolet Showroom. 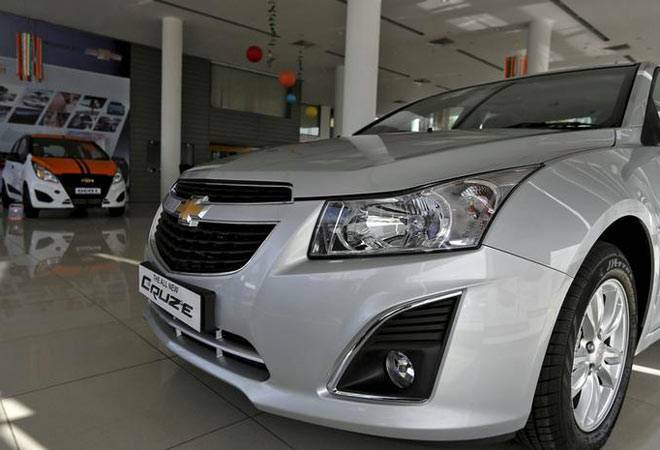 The US carmaker, which was currently selling cars like Beat, Cruze, Tavera, Sail and Captiva in India will now focus only on exports from its Talegaon manufacturing hub. In 2006, GM had discontinued its struggling Opel brand after sluggish sales in the country. What will happen to the dealers? General Motors will decide the fate of its dealerships spread across India in the company's upcoming meeting in Gurugram. Meanwhile, the showrooms have been tasked with clearing the current stock by December 31, 2017. At Aravali Chevrolet, General Motors' only dealership in Gurugram, the showroom has been wearing a deserted look ever since the news came that the car manufacturer is winding down its India business. According to Deepa Bisht, Customer Care Manager at Aravali Chevrolet, "walk-in customers have come down significantly, and whoever comes into the showroom now asks for irrational discounts." "We are giving them previous discounts, we haven't gotten any new discount bulletin from company," Bisht added. Meanwhile, the company's website from where it used to market its popular brand in the country says, "Chevrolet India is committed to maintain a service network across key locations in India with staff trained to take care of all the needs of your Chevrolet for maintenance and repair. We will continue to honour your original Chevrolet vehicle warranty as well as supporting you through Chevrolet's Roadside Assistance. We will continue to provide spare parts for your Chevrolet to support maintenance and repair of your vehicle." GM's withdrawal from India comes at a time when automakers from around the world are betting big on the lucrative car market in the country. In April, South Korean carmaker Kia Motors Corp signed a deal to invest about $1.1 billion to build its first factory in India. The automaker is looking to milk the fast growing Indian market at a time when China is recording a slump in sales.